Our class had their enrolment mass in the “Do This in Memory ” program on 26th October in St. Michael’s Church, Upper Glanmire. Our next mass will take place 23rd November @10.00am. This mass will be to remember those loved ones of our families who have gone to their heavenly home. 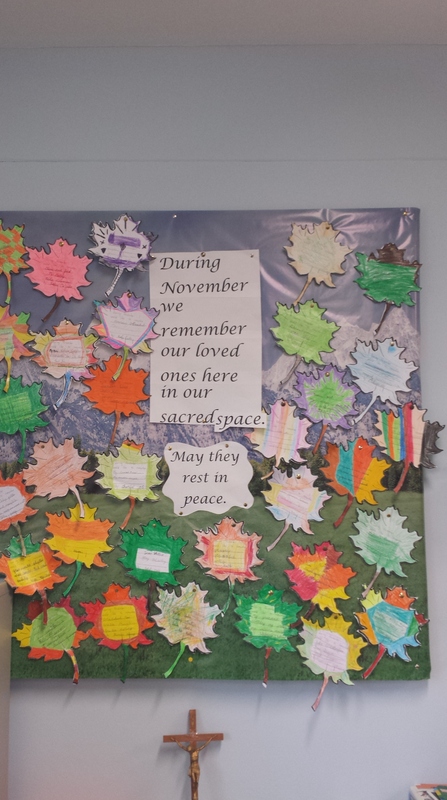 Here is our classroom display to remember those people.